This project is a little different than others on the list. 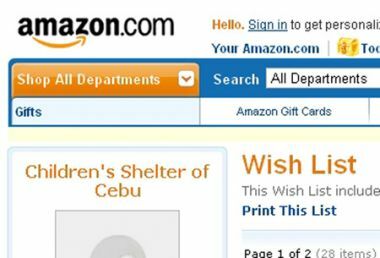 If you follow this link to Amazon you can purchase items directly for Cebu. No need to donate via the "donate now" button below...you can select the items you'd like to give! Thanks so much for considering this way to support the children.